The frustration of wondering how to float as you swim along and sink, again. The desperate struggle to fight the panic that sets in and brings another aborted attempt to swim across the pool. Not everyone naturally floats on water, but everyone can learn to stay up as we swim - even those of us who naturally sink. 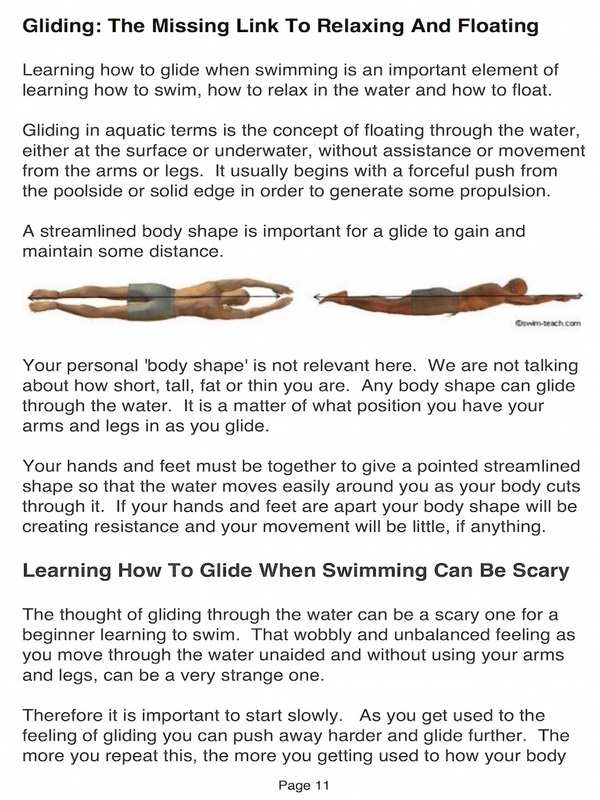 There are many tips and tricks to help keep us at the water surface as we swim and move through the water. Learning to discover our level of buoyancy and how our body behaves in the water is essential to learning how to prevent that sinking feeling. Enjoy Swimming. Enjoy Holidays. Enjoy Life. Myth #1: The harder and faster I kick, the more I will stay afloat. 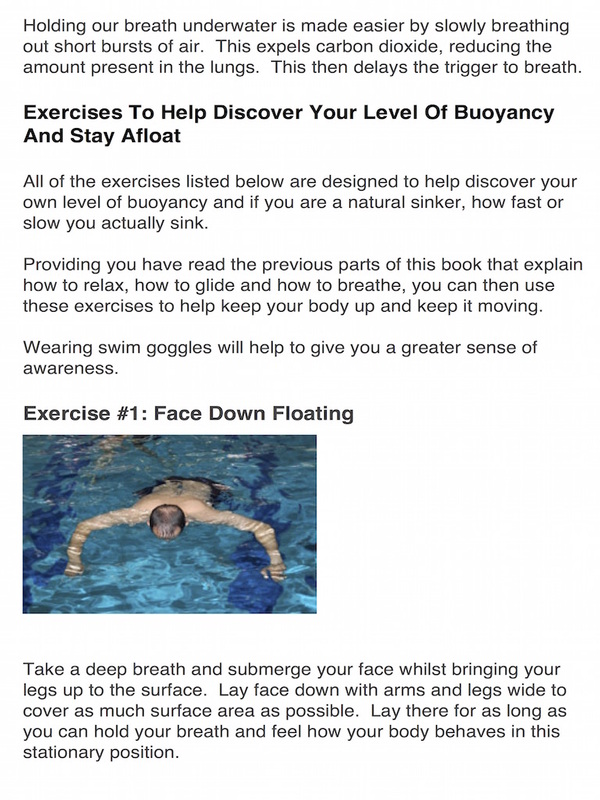 Myth #2: The faster I use my arms the more I will stay afloat. Myth #3: The water is trying to pull me down. 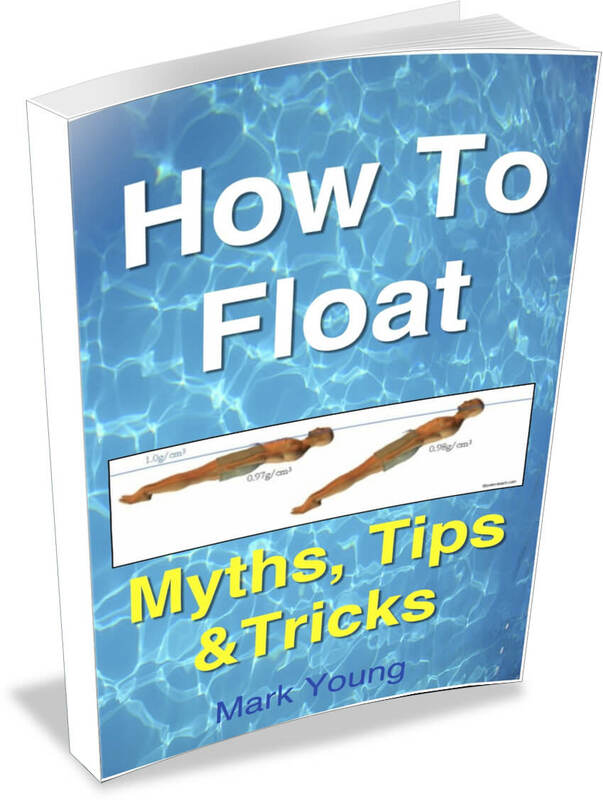 Myth #4: If I take a bigger breath and hold it for longer I will float. 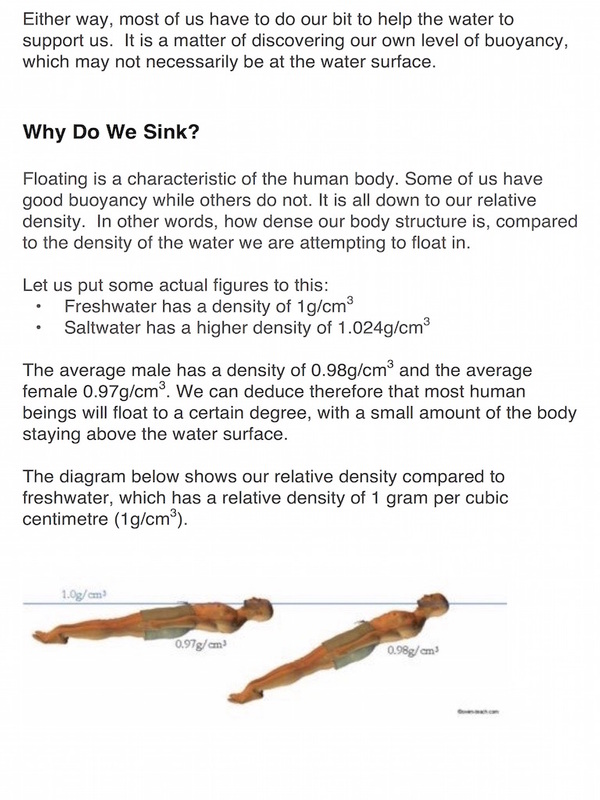 Find the reasons behind these and learn many more facts about floating inside this amazing book. Take a look inside by downloading a preview. Always wanted to be a better swimmer? Frustrated that your body always wants to sink, not matter how hard you try to stay up? Only $4.99 Instantly download it to your device, get to your pool and get practicing!